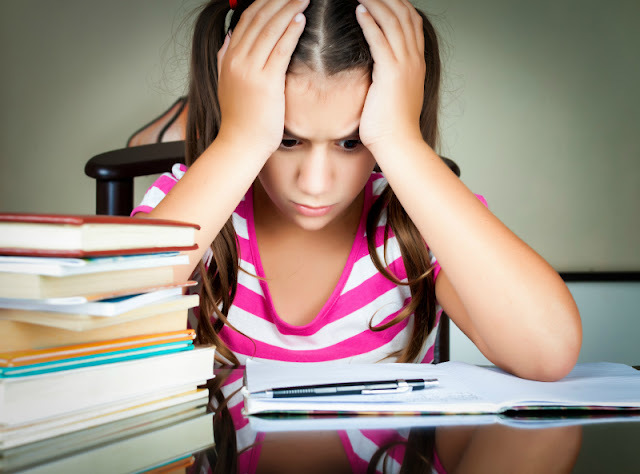 What does Project Based Learning look like in a PBL school? 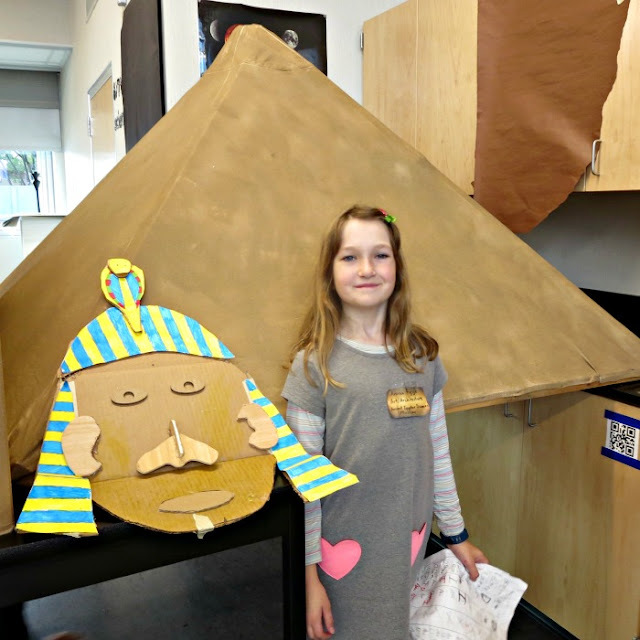 For Smarty's 6th grade class, it took a form of an ambitious social studies project - building an interactive museum of ancient Egypt. This year, Smarty is blessed with a wonderful teacher of language and social studies. For the first time in ages, she is actually loving social studies. Ms. D taught an accelerated class in her previous middle school, so she has high expectations and great projects. 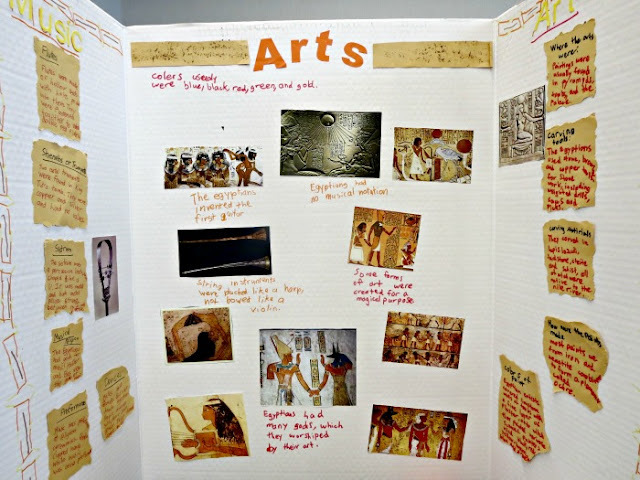 Earlier in a school year, the students already knocked down a "cave art" project and a graphic novel about the birth of civilizations. 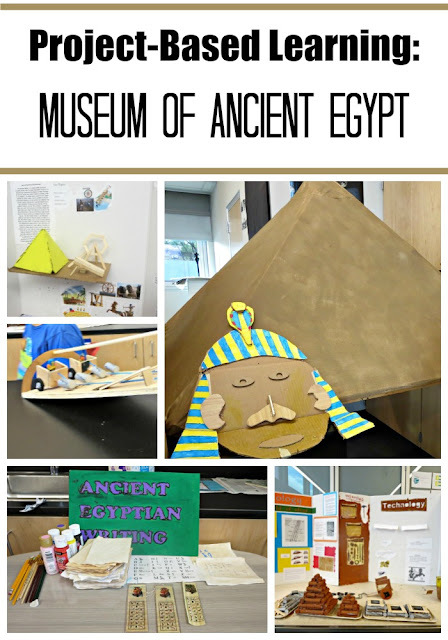 But the last project was more ambitious than anything they worked on so far - each class of 6th grade (total of 3) built their own interactive museum of Ancient Egypt. There was also a separate group for Ancient Hebrews that ended up mostly presenting the story of Exodus through their interactive exhibits. I found this highly problematic to include Exodus as an element of actual Egyptian history, but this is a topic of a separate post. Last, but not the least, each museum came with a cafe and a gift shop. As I said, the project was very ambitious. Kids loved making their interactive exhibits and were very creative. As you can see from the lead picture, Smarty's group (Arts and Architecture) had a giant pyramid. Technology groups went all out with clever projects including various automations, a working water wheel track, chariot races, etc. Religion group had a human size sarcophagus decked in gold foil. One boy wanted to do his own project about surgery in ancient Egypt and designed a great game where players needed to connect a description of a surgical tool to its model or a picture to have a light come up for correct answers. Almost all of these projects were completed in school Makers' Lab with our Maker teacher providing minimal guidance. He joked that kids went through 5 pounds of hot glue in a week building their exhibits. In addition to interactive exhibits, students were also expected to create informational posters on their topics. Many kids were so wrapped up in making their hands-on project that posters got very little love and attention. This is one from Smarty and her partner where the poster practically screams, I was done last minute!!! And their poster was not even the worst one - the other two students on her arts and architecture team left their poster on architecture mostly blank with a "creative explanation" of leaving space for viewers' imagination. Obviously, the other challenge in the project of this scale was group work. Smarty's group was struggling with finding their direction and with having a joint vision for the final result. One of her team members was so upset at some point that he threatened to quit. The sphinx that they planned to build never materialized (except its head), as did several other exhibits that they initially planned. While Smarty firmly rejected any offers of help or guidance from us insisting that it's "her project", we felt that teachers could probably have offered a bit more pointers on group work. But, perhaps, this was part of the learning experience - struggling to reconcile different points of view together. Smarty thinks that "she did the best with what she had". I beg to differ, but, after all, she and other students had a lot of fun with this project while also learning about ancient Egypt. I am sure that they will remember their project a lot better than any written report or a presentation that they could have done, and this is ultimately what project based learning is all about. What kind of big projects did your kids work on lately? What a great learning experience! The projects look amazing! 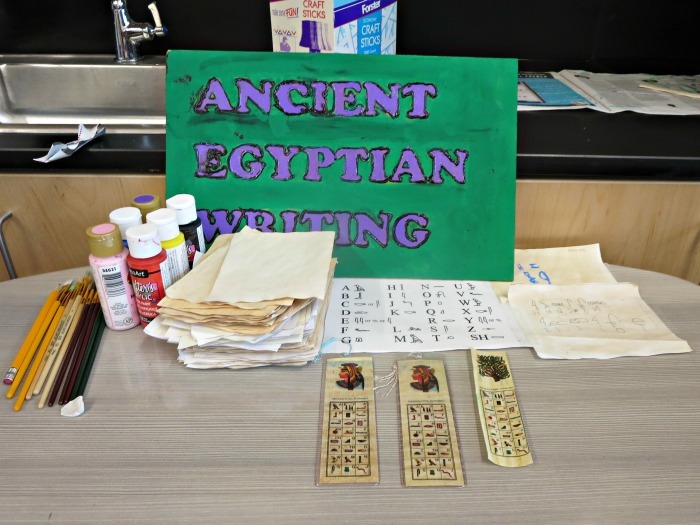 For my master's, we also did a similar project-based learning for language arts/history. We wrote pretend letters from the perspective of the pioneers, built a covered wagon, etc. which were all done by teachers. I think Smarty's classmates did a far superior job! It must have taken a lot of research and learning as well as learning to work with others. This looks incredible and like so much fun! I was curious if you had and would be willing to share your instructions, guidelines, and or rubric that you gave your students. 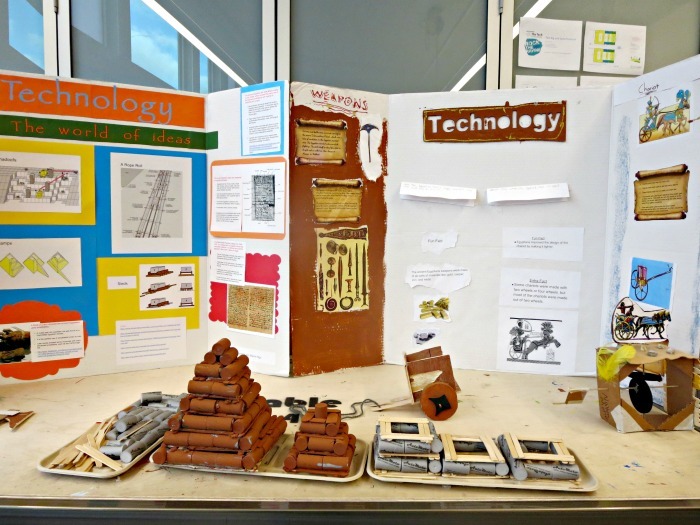 Our school has not had a lot of experience with project based learning, but I have done smaller scaled PBL projects in my class and would love to potentially try this larger scaled one! Thanks for sharing your ideas!